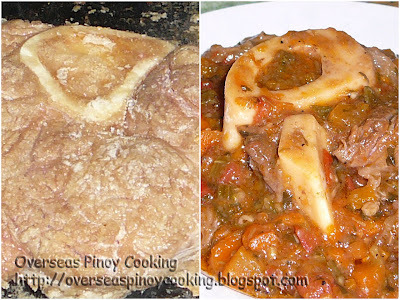 Osso Buco, Ossobuco Bulalo. Ossobuco is an Italian braised, slow cooked veal shanks. 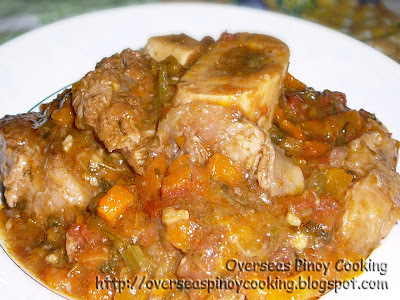 For my version I used saw cut beef shanks or bulalo. Saw cut beef shanks are available in most supermarkets. The beef shanks slices are coated with cornstarch and browned on both side to seal in the flavors, before stewing with the braising ingredients which include red wine, lemon and orange rind and thyme. The used of these ingredients especially thyme are not that common in Pinoy cooking, the flavor and aroma of the dish may be strange especially to those who have never use these ingredients before. Never the less the dish is great, very rich in flavors some what is similar to mechado. Ossobuco Bulalo is the first of my Celebration’s Recipes recommendations for the coming holiday season. I have started the practice last year (Click here to see those recipes) and for this year I wanted to start it earlier this is to give the readers a change to trial cook the recommended dish those giving way for corrections or adjustments. This will also give the readers more choices on what to cook for the coming holiday. Dust beef shank with salt and pepper and dredge with cornstarch. In a big sauce pan heat 2-3 tbsp of cooking oil and butter, brown beef shank slices on both sides and keep aside. On same sauce pan sauté garlic, onion and tomato until translucent. Add in carrot, celery and 2-3 cups of water, bring to a boil. Add in browned beef shanks, beef bouillon, wine, orange juice, sugar, lemon rind, orange rind, dried thyme and bay leave. Cover and simmer at low heat and stirring occasionally for 2 to 2 1/2 hours or until beef shanks are tender, meat starts to fall off from the bones and the broth has turned into chunky thick sauce. Correct seasoning if required. Serve hot. manong, ag-post kan iti recipes para CHRISTmas. 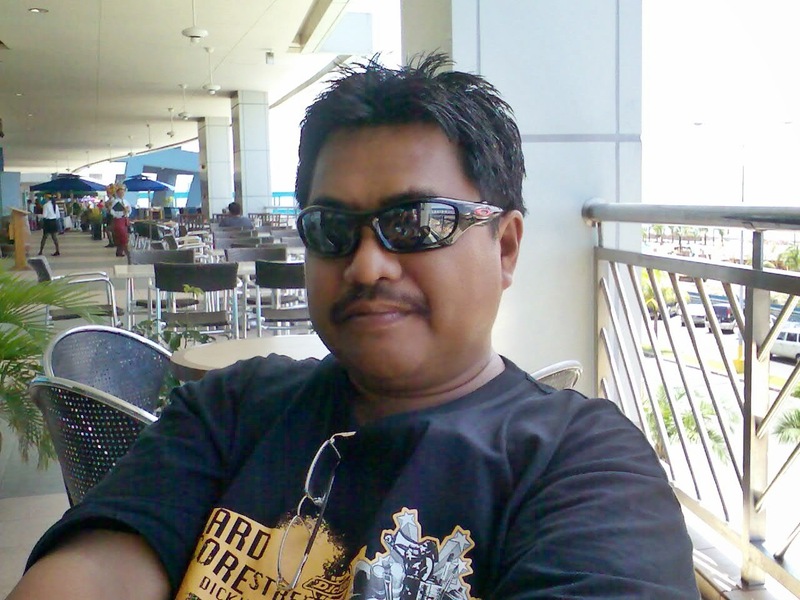 we will be waiting..